Born in Ontario in 1863, Frederick German attended the University of Toronto and later worked in New York City architectural firms before moving to Duluth. 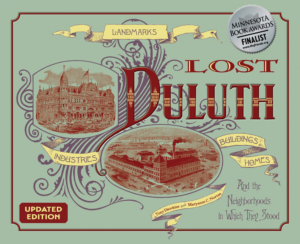 In 1889 he was employed as a draftsman for Oliver Traphagen before taking up partnership with several prominent Duluth architects beginning in 1892. German’s partnership with A. Werner Lignell, which began in 1905, resulted in many important Duluth buildings and homes, including the downtown YMCA and YWCA, Washington School, the Duluth Curling Club, Glen Avon Presbyterian Church, and St. Anthony of Padua Catholic Church. From 1913 to 1923 German partnered with Leif Jenssen, and together they designed the Bradley Building and Pilgrim Congregational Church. After that partnership ended, German designed the Amphitheater. German also designed many grand East End homes, including the Henry and Amy Fee House at 2305 East Third Street and Highpoint, the home Bernard Silberstein built as a gift to his wife Nettie at 21 North Twenty-First Avenue East. Not everyone was pleased with German’s work. 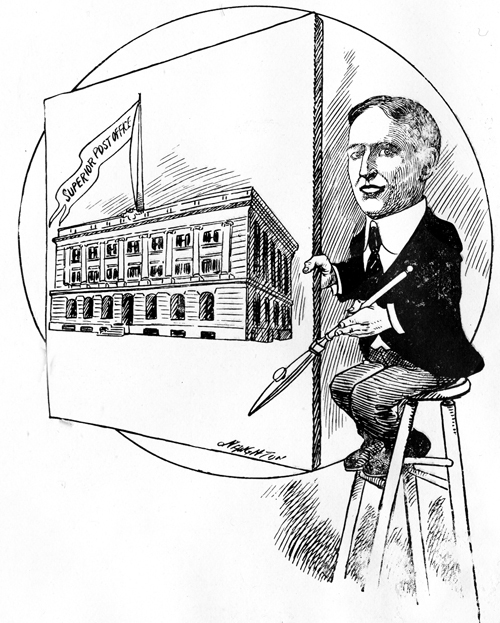 In 1906 he and Lignell drew the original plans for Villa Scholastica (today’s Tower Hall on the College of St. Scholastica campus). Mother Scholastica fired the pair of architects and the building contractor in 1908, citing faulty design and construction of the still uncompleted building (it was said to be in danger of collapsing). According to Scholastic historian Sister Agnes Somers, after being released German “tore up their plans” in disgust. German “served continually” on Duluth’s planning commission until he died in 1936 at his son George’s house just after returning from a walk. He was seventy-three years old.